There’s touch, and there’s the keyboard and mouse; there are tablets, and there are laptops and desktops; there’s ARM and Intel; there’s Metro and the desktop, there’s WinRT and the .NET CLR. And of course, there’s the consumer and the Enterprise. Microsoft’s challenge is that it must appeal to new market segments and new trends, but it must also serve – and leverage – the Enterprise, and consumers who prefer classic Windows. Booting Windows is almost an allegory for this attempt at mutual coexistence. 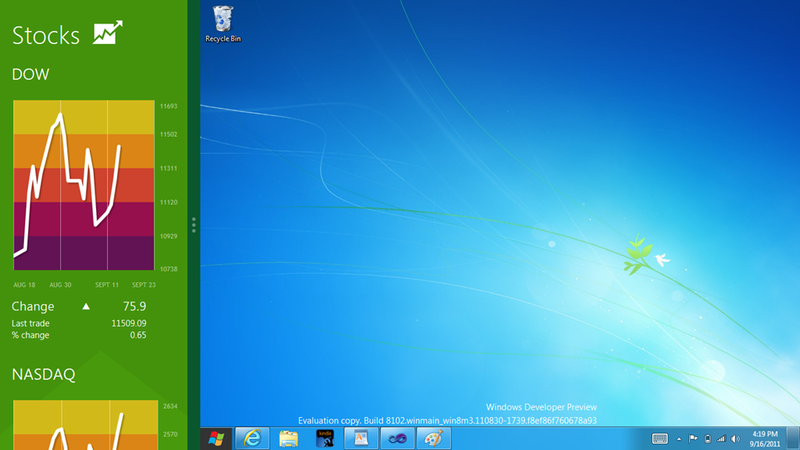 Windows 8 takes users right to the new Metro-style Start screen but enables them to call up desktop mode applications directly. The Metro version of Internet Explorer can take you right to “desktop view.” The Metro version of Control Panel has a “More settings” option that takes you to the standard desktop version of that same applet. The operating system seems well at home on a tablet, but you can absolutely install it on a conventional laptop or desktop and use it as an upgrade. Or perhaps that would be better deemed a retrofit. No other software company has to do this. Oracle, IBM and SAP focus on the Enterprise. Apple focuses on the consumer. Even hardware companies tend to divide into camps: Samsung and Sony and Acer look to the consumer and, I would argue, Dell looks mostly to the Enterprise. HP tried to serve both demographics, but it seems close to focusing on businesses more exclusively. But Microsoft is in a special place. It can neither abandon the old nor deny the new. It must serve both masters. It must mediate, it must reconcile, it must negotiate coexistence. It must cross a chasm, and that is hard. But it then must bridge that divide, and that is harder still. To do so seems foolhardy, and yet it is necessary. It seems almost irrational, and yet it is oddly logical. Enmeshing such different worlds might appear doomed to failure. And yet the sleeping giant that so many think Microsoft is, this company that started out making BASIC compilers for microcomputers in the 1970s, is taking on the challenge anyway. Because it knows it must. This week at //build/, many started to believe that it can. I think you are exactly correct. As a consumer I really like metro, but while I'm developing I'd rather have it out of the way. I was talking to one of my clients this morning and he said he'd only adopt Win8 at his company if he could block the "distractions" from his employees.